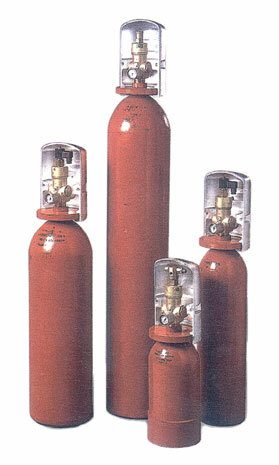 FM-200 is a colorless, odorless gas containing only carbon, hydrogen and fluorine; lacking the ozone-depleting presence of bromine atoms. Highly penetrative in the hazard zone, it acts on fires largely by physical means, lowering the temperature of the flame and fuel to a point at which combustion reactions cannot be sustained. There is no significant obscuration on discharge, no post-discharge clean-up, and no damage to sensitive equipment. FM-200 has zero ozone-depletion potential and a short atmospheric lifetime, and is accepted for use by the US EPA (Environmental Protection Agency) plus many other approval bodies. 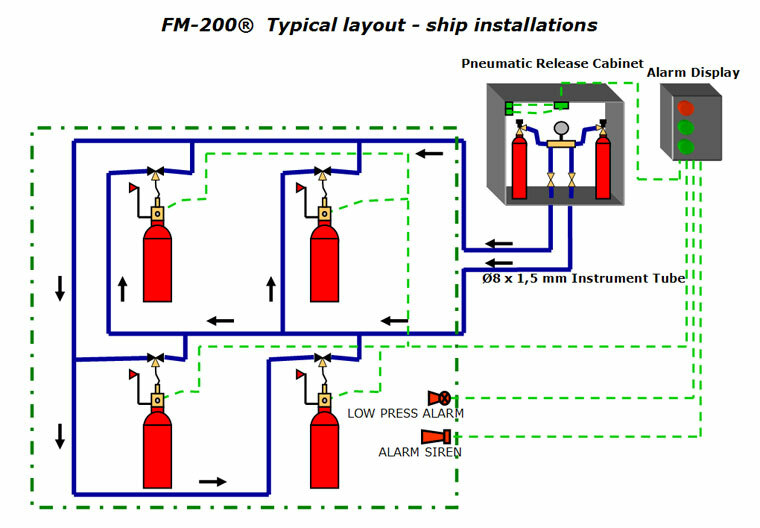 FM-200 mitigates the effects of an uncontrolled fire and at the end of the lifetime of the system, the gas can be readily recovered and recycled. The FM-200 range comprises a versatile line of cylinders, valves and related components which have been selected and approved for use in the marine environment and have been subject to stringent testing procedures. Flexibility, quality and reliability make the FM-200 range the world’s finest in fire safety. The pre-engineered system offers a low engineering/design cost option with defined maximum design parameters. The maximum discharge time is 10 seconds. As a result, FM-200 provides active fire protection and strictly limiting fire damages.